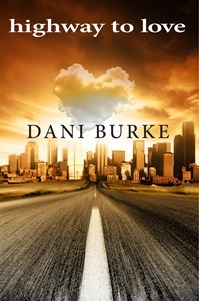 Dani Burke has always been an avid fan of women’s fiction. She finally decided it was time to try her hand at a little story telling of her own. Having resided in the Chicago area the better part of her life, it seemed appropriate to use this location as the setting for Highway to Love. Dani has spent her career with various legal teams in several real estate industry related companies. Currently she is a Legal Administrative Assistant for a Chicago real estate developer and resides with the love of her life in a Chicago suburb. This is so cool. Something to be really proud of. I will definitely read. We’re excited for you and proud of you. Can’t wait to read it. The book sounds so good. I can’t wait for it to come out ! Congratulations!! I cannot wait to read this!! Please say you will be writing a sequel? Joe Baker needs a fictional man page like Jack Gordon from Floor Time by Liz Crowe. I gave 5+ star review under assorted names on amazon,powells and b+n! If fans love Joe Baker you will feel the same about Jack Gordon in Floor Time by Liz Crowe!